For honeymooning couples, sometimes the best way to experience a destination is to go off the beaten path, and in this case, by rental car! From twisty ancient roads to one of the best highway systems, an adventure is in the making when you discover places not accessible by train or bus. The idea of renting a car in another country can be daunting, but with the help of Auto Europe and our ultimate guide to roadtripping in Italy, your vacay will be smooth sailing on the open (and even little) roads every step of the way. We were also able to find fun hidden gems otherwise unknown thanks to our pals at City Wonders Tours. 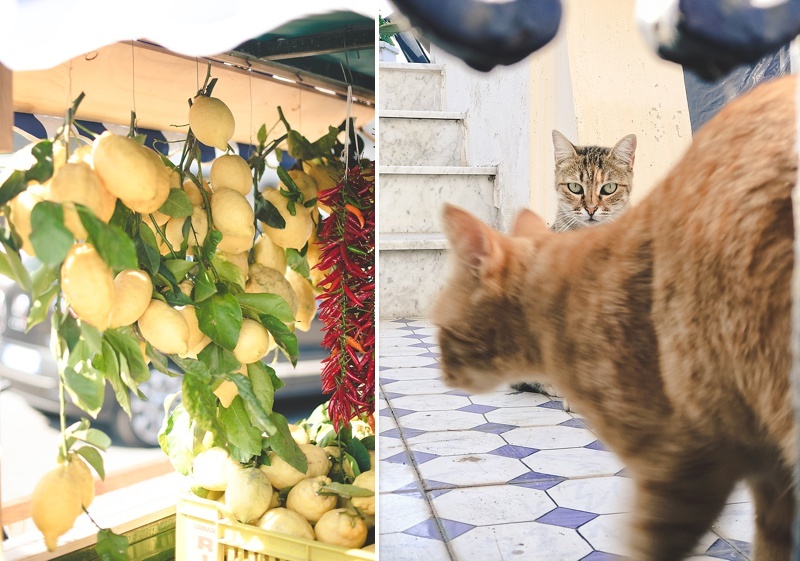 Mozzarella making in Sorrento, fresco painting class by a true Renaissance master in Florence, the best gelato in all of Italy in Cinque Terre, and so much more. Let's hit the road! In the late summer, days are hot and evenings are cool. Like most European countries during this time of year, a variety of dresses, shorts, pants, and other clothing that can be paired with layers are always a must. Since you'll be roadtripping in a car, consider comfortable pants and comfortable shoes that you might also wear on an airplane, especially for those longer drives. Similarities in style and function are pretty much the same all over Italy -- tailored, yet casual looks. In the more tourist hotspots, you'll see a plethora of wardrobe options ranging from ultra-casual to European chic. Packing Tip: Since you'll have a vehicle at your whim for transportation and will likely want to save a little on your trip budget, pack a reusable bag or two for stopping into local grocery stores or markets (e.g., The supermarket, Esselunga, in the Florence area was our personal favorite as it had a great selection of gluten-free foods and great prices.) Unlike the States where freely given plastic and paper bags are the norm, bags of any kind are only available for a fee. Just one of the many ways Europe is leading the way when it comes to eco-friendly practices! As you start to plan out your honeymoon road trip, determine your car insurance options before you book a rental car. Did you know that a lot of travel credit cards have Worldwide Car Rental Insurance built into your card perks? Yep, and it's a relief since most Virginia car insurances don't cover incidents outside of the U.S. In case you have to make a claim after your trip, you will have to have booked your rental car on that specific credit card and have denied additional insurance coverage at the check-in counter in Italy. So do your research and make your game plan before booking anything! Editor's Experience: Know where you're going before you rent. 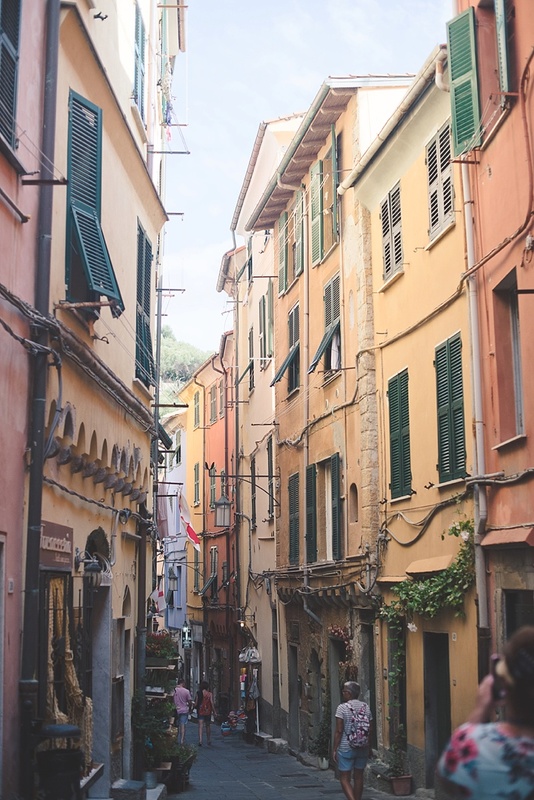 From sweeping three-lane highways to skinny cobblestone streets, street size is varied in Italy. We rented a compact-sized car (which was one step up from economy-sized), and we narrowly fit in some one-lane roads in Sorrento. If we had rented any larger car, we would not have been able to drive down certain roads! If you don't foresee yourself in these types of areas, you won't have to worry about the width or length of your car. In Italy, all rental cars are manual unless you request and reserve otherwise. Automatic vehicles are limited, so be sure to book this well in advance especially if you are traveling during a busy season. Most cars also take diesel fuel or gasolio instead of what we're used to here in the States, and it's very expensive (e.g., we're talking about $65 for three-fourths of tank of gas in a compact car). The rental car counter will always tell you which fuel your car takes. You will also need to apply for an International Driver's Permit before you go. Head to your closest AAA office, and for $20, you can get a permit to drive in Italy! Sounds too easy, huh? It strangely enough is. And to add to this smooth process, rental car companies don't actually require this permit to rent, but if you are pulled over or encounter Italian police, you will need both your Virginian driver's license as well as your IDP booklet. It is illegal to drive without one, so be sure you get one. It only takes about an hour at AAA to fill out your forms, get photos taken, and pay; you leave with your IDP in hand. 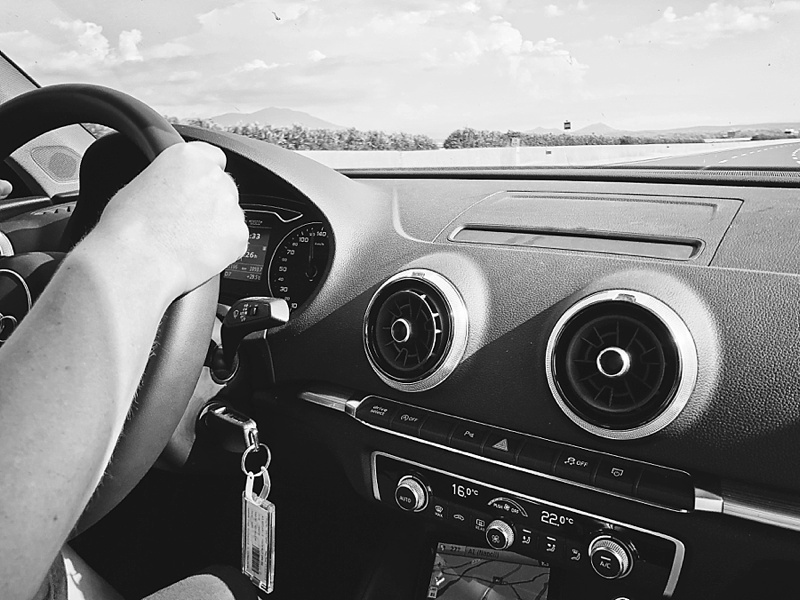 Ahead of your trip, you will want to take advantage of reserving a free GPS from Auto Europe to use in your rental car since navigation systems are not standardly included. One, this saves you money from renting directly from the rental company. And two, everything is already formatted with European maps in English. All you pay for is express shipping! The GPS unit provided is the most up-to-date and latest Garmin model, but there are a few notes about the Garmin brand in general to take into consideration. Editor's Experience: Our Garmin GPS was super important for helping us save cell phone data while in Italy, but I did find that the GPS got confused often on the smaller, more local roads. On Italy's main toll highways, the Autostrade, the GPS was most efficient and accurate. In Florence where there are restricted traffic zones, street construction, and other road complications, we got lost multiple times until I finally turned on my cell phone data to use Apple Maps. Once I turned off the GPS, we arrived at our destination much more quickly. On the Amalfi Coast, particularly Sorrento, the GPS unit was inaccurate again and had us going down tiny one-lane roads that we didn't need to go on. Overall, I'm glad I didn't pay for this or purchase my own Garmin for the trip, or it would have been a disappointment. You don't want to get lost or frustrated on your honeymoon! We recommend to definitely not buy a Garmin GPS and just reserve your free one, but also plan on using international cellular data on your phone for the less populated routes if you venture that way. Unfortunately, Coastal Virginia doesn't always have direct or the most affordable international flights. Driving to Philadelphia International Airport (PHL) and flying to Rome-Fiumicino International Airport (FCO) via American Airlines is surprisingly more cost effective even when you factor in long-term economy parking which was around $110 for 9 days at PHL! 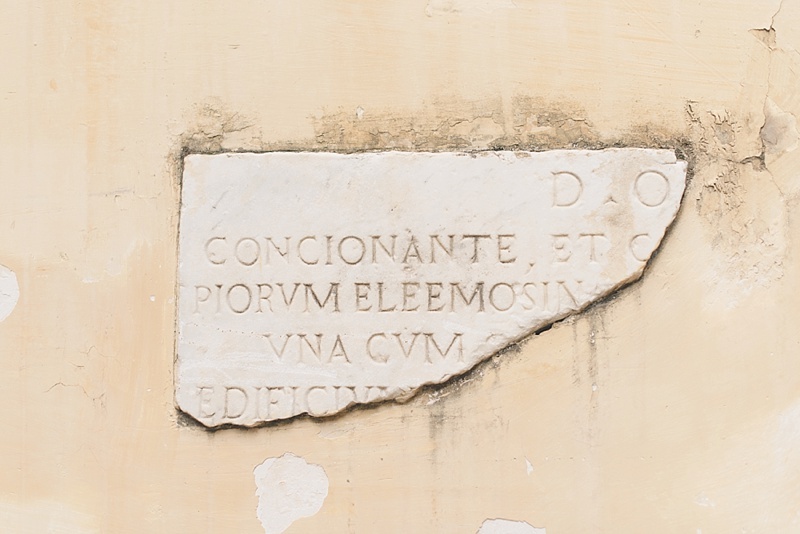 While this adds more time in a car (approximately 5 hours from Williamsburg), a morning drive is perfectly easy for evening flights direct to Rome. Let the road trip begin in the capital! Fiumicino International Airport makes finding things super easy. Bilingual signs are clearly visible throughout the airport, but if you happen to spot an Italian-only sign, look for "autonoleggio" which means "car rental." On your Auto Europe reservation, it'll tell you which rental car company counter to go to. Most counters have a call ticket service system, so grab a number and enjoy the free airport WiFi while you wait. Because everything is done online and ahead of time through the third party booking service of Auto Europe, all you have to do is show your reservation number, U.S. driver's license, and credit card, and the car rental staff takes care of the rest. It's very much like any other rental experience. While there was a buzzy energy with complaining and tired travelers around us, the check-in and pickup process were personally super streamlined, quick, and made us feel like Auto Europe VIPs! We had our keys in hand within 20 minutes of our service number being called. 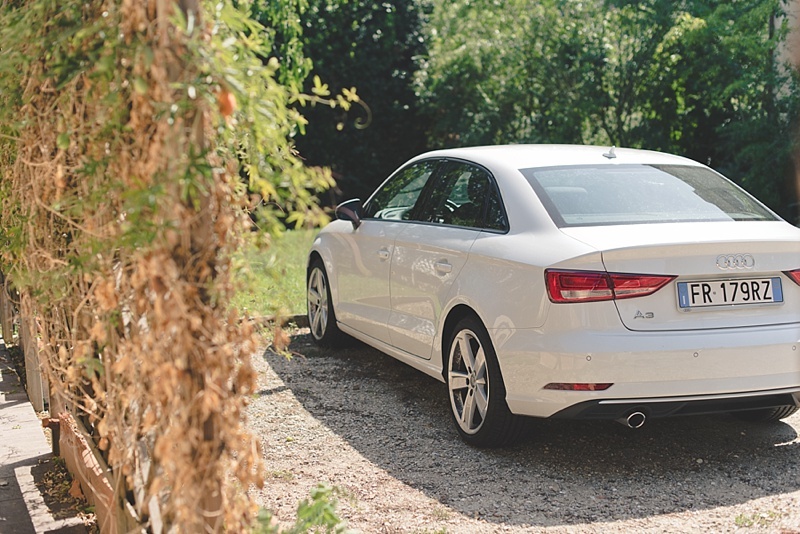 Editor's Experience: We were given an Audi 3 Sedan with an automatic transmission. It was great on gas mileage and only had to fill up once during our 6-day trip. We took the advice of the counter staff and opted for them to refill the tank upon drop-off. If you are less than a half of a tank at the end of your rental, it actually ends up being cheaper to have the car company fill it up for you than your refilling outside of the airport. Ours ended up being $62 for them to refill from an empty tank. That was one tip I appreciated getting! It saved money, but most importantly time when there was a flight to catch. As you would with any rental, document any scratches with photos and notes, get to know the car functions, review Italian road signs, and set the GPS to where you are headed. It's en route to vacay vibes now! Head to the birthplace of the Renaissance in the heart of Tuscany. 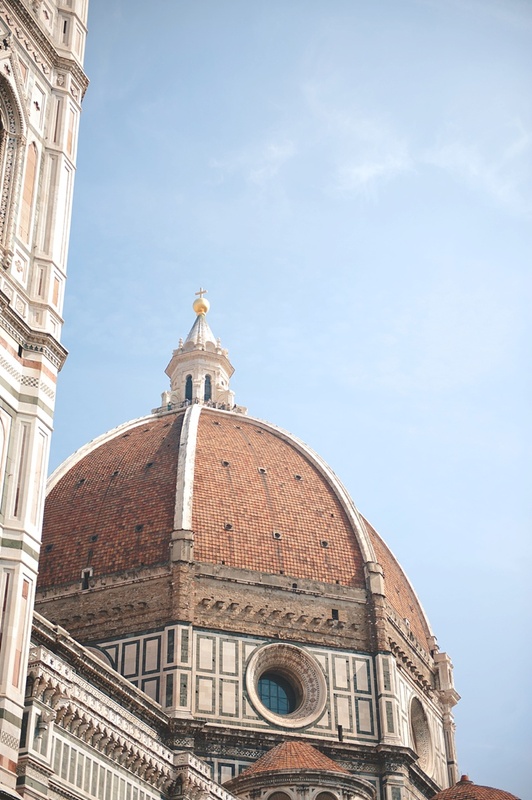 Just a 3 hours drive from Rome, Florence is a beautiful Italian mecca of art, food, and culture that dates back to 59 BC (aka Julius Caesar's time). Wine tasting and museum visiting are, of course, essential things to do, but go beyond the typical and discover some truly unique memories to take back home with you as newlyweds. Imagine a toll highway system that is actually well-maintained, no potholes, and generally traffic-free, and that's what the Autostrade in Italy is and why you won't grumble too much on how much the tolls are. Italians may be frantic drivers in some cities, but they are courteous to the T and fully expect you to use that left lane only for passing (which is practically a foreign concept here in Virginia). You will see a lot of semi-trucks on the road as ground transportation is the primary way to get goods across Europe, but even here, the trucks religiously use that right lane for steady travel. Calculating tolls can be done ahead of time on the official Autostrade website, but you'll find the tolls relatively reasonable (though a shock for east coast U.S. standards) for the quality and ease of highway driving. From Florence to Sorrento (a 5 hours drive), it was around €30 Euros/$35 USD. Most tolls take both Euro cash and credit cards, but be sure to have cash on hand just in case for the less popular exits. For couples looking to best experience the Italian Riviera, City Wonders Tours has a day trip option from Florence to see Portovenere and Cinque Terre with a true local expert. Relaxing and low-key, the private bus, ferry, and train rides transport you to and throughout this waterside region. It's a rugged coastline that beckons you to look up. What may seem impossible, these villages have been built skyward in bright warm colors set against the deep turquoise waters that surround them below. Editor's Experience: This tour by City Wonders Tours was, by far, one of the best tours I've ever been on in Europe. Clearly understood instructions emailed upon booking made our Florence meeting spot easy to find and set the expectations that we would have a two hours drive to where the ferry would take us to Cinque Terre (so I brought my travel pillow for the ride back because I knew a nap was going to hit after a jam-packed day of sightseeing!). Our guide, Matteo, was personable, fluent in conversational English, and super helpful when it came to assisting me in finding gluten-free food. 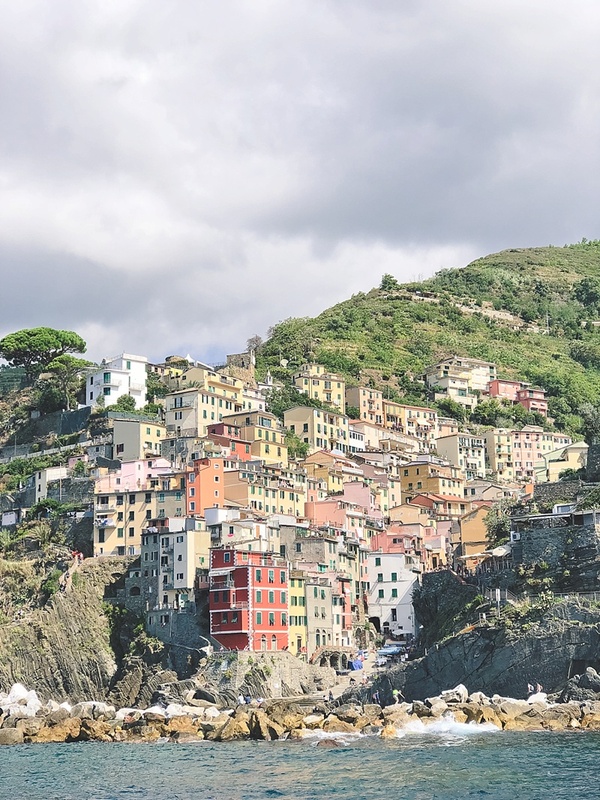 With expert insight and loads of history facts to make this history nerd happy, the tour through the towns of Cinque Terre was balanced with enough free time to explore, shop, and enjoy. Even if you don't know who Michelangelo is, you will know the Vatican's Sistine Chapel or its epic painted ceiling, Creation of Adam. 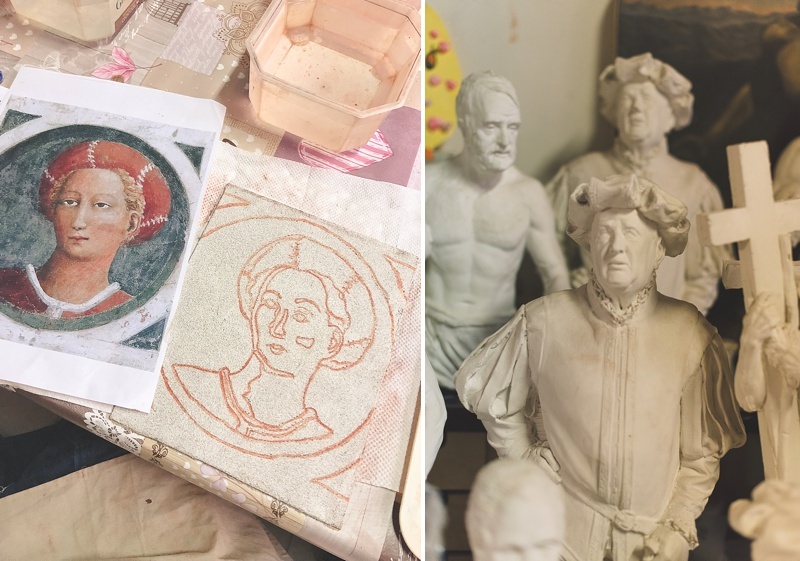 For fellow artists or those who appreciate art, learning how to paint in Michelangelo's fresco painting style in the birthplace of the Renaissance is literally the ultimate when it comes to afternoon art classes and the ultimate in special once-in-a-lifetime experiences while in Florence, Italy. Take the basic concept of a paint-by-number, use damp powdered pigments of color, apply that to wet plaster, and paint swiftly. It's the coolest thing, and you have a whole new appreciation for those old school artists who perfected this. 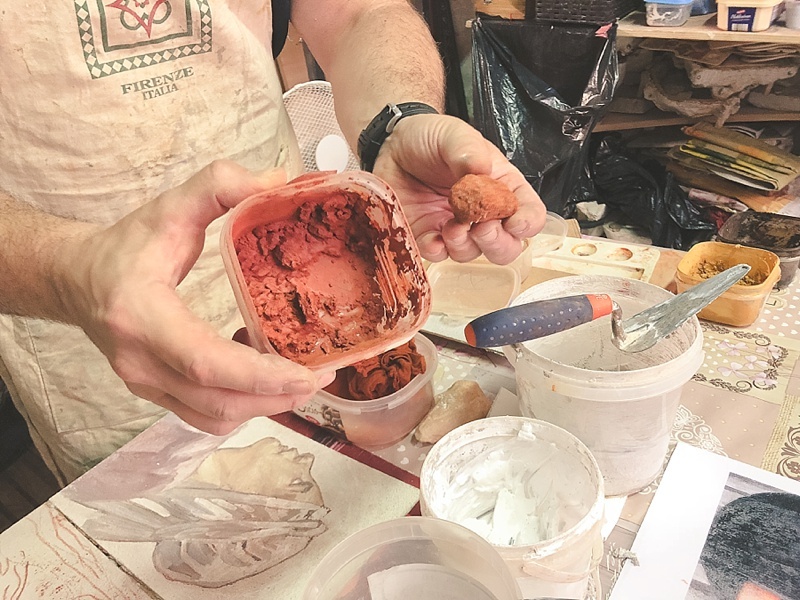 Fresco painting is mostly done on walls and ceilings and is a total chemistry meets art situation when it comes to the minerals' reactions you use to paint on that wet plaster canvas. Da Vinci's The Last Supper is another famous example. Adaptable to all art backgrounds and completely fluent in English (as he's originally from Rochester, New York! ), Dr. Alan Pascuzzi is the go-to when it comes to anything Renaissance as he is a true master of his craft who has dedicated his life’s career to the beauty of Renaissance art through painting and sculpture all over the world. With your own workspace, every student gets all the art materials set out for them as Dr. Alan explains the basics of fresco. You and your sweetie choose your preferred art piece to replicate -- anything from simple Renaissance icons to complex portraits. Choose something to show how you want to remember your Florentine art lesson. Editor's Experience: Despite my art geek excitement, I was actually really nervous for this workshop. Even though I have an art and a teaching background, I had no clue about fresco painting techniques or what kind of teacher Dr. Alan would actually be. (Call it my scarred experiences from my not-so-great high school art teacher, but I wasn't going to let that stop me from this!) Everything melted away the moment we met him! Warm and welcoming, his teaching style is approachable and encouraging, he made learning fun, and he met me at my level. It was the most perfect way to spend an afternoon, and I definitely want to take more of his classes when I'm in Florence again. You can book a private workshop by contacting him on his website, and he will send you all the details. The biggest fact of your entire trip is that gas in Italy is expensive. As in it'll likely be the biggest part of your budget depending on your destinations. First, gas is sold in liters, not gallons. Second, it's in Euros, not dollars. Third, the price is already high. If your average sized car at home only takes $20 to fill up, it could be about $77 in Italy. It could be a deterrent to driving in Italy, but how you budget for your trip and where you save in other areas, it could equal out. When getting gas, you need to know if your rental car takes unleaded or diesel. As mentioned above, your car company will tell you this when you pick up your keys. When pulling into a gas station, look for the signs Benzina (unleaded) and Gasolio (diesel). Diesel is actually quite cheaper in Europe, so it's a great surprise if you are given a diesel-fueled rental. Another thing to note is that there tends to be self-service stations and combo stations that offer self-service and attended (aka someone to pump your gas for you). There is a price difference between each one, particularly on the Autostrade, but sometimes the peace of mind having a local make sure everything is correct is worth the extra cost. 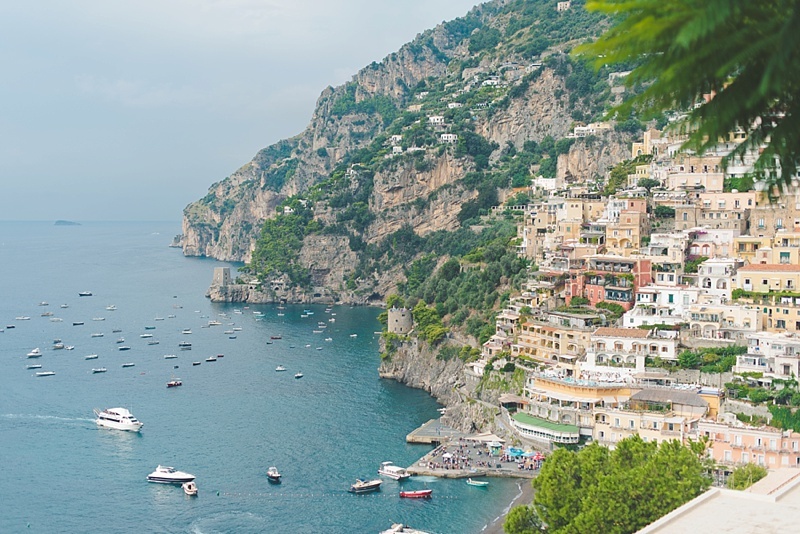 The Amalfi Coast will steal your heart and teach you the art of nature's beauty. As it is protected land and difficult to get a permit to build anywhere, the region is effortlessly timeless with its hillside lemon groves, pastel buildings, and epic views no matter which way you turn. A car is the best way to get to the Amalfi Coast, but it does come with some disclaimers. Mopeds, scooters, and more mopeds dominate the roads here. With winding streets, tiny alleys, and sometimes confusing signs, these two-wheeled vehicles will be the bane of your honeymoon existence for those not used to this kind of driving. Once you have mentally prepared for that, the drive will be much more tolerable. Consider staying outside the main tourist areas, like Massa Lubrense, for better overnight parking options at your accommodations. Parking garages are available for hourly or daily fees as well, especially in Sorrento near the train station. To explore and adventure around the Amalfi Coast, it is recommended to book a professional tour as Positano and Amalfi are particularly congested all the time and frustrating to drive through even for Italians, so have a local expert lead the way while you sit back and watch the gorgeous scenery. 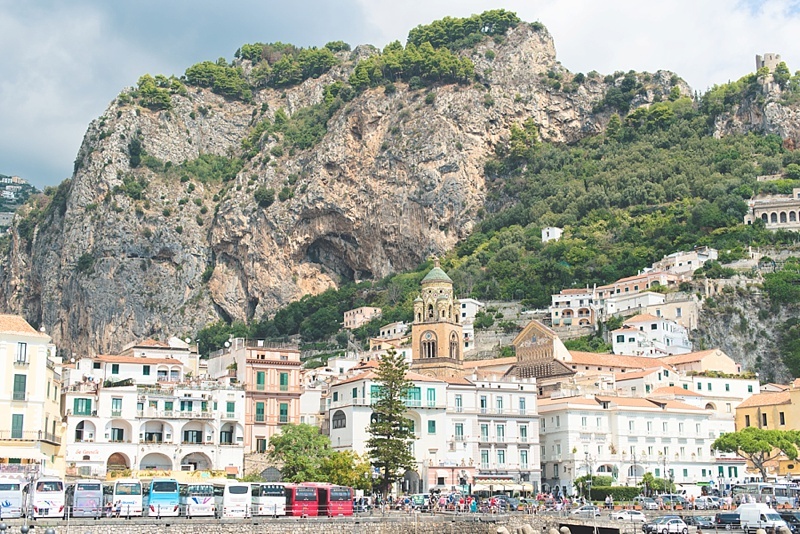 There's a reason the Amalfi Coast attracts visitors from all over the world and why celebrities continue to flock here despite the crowds. 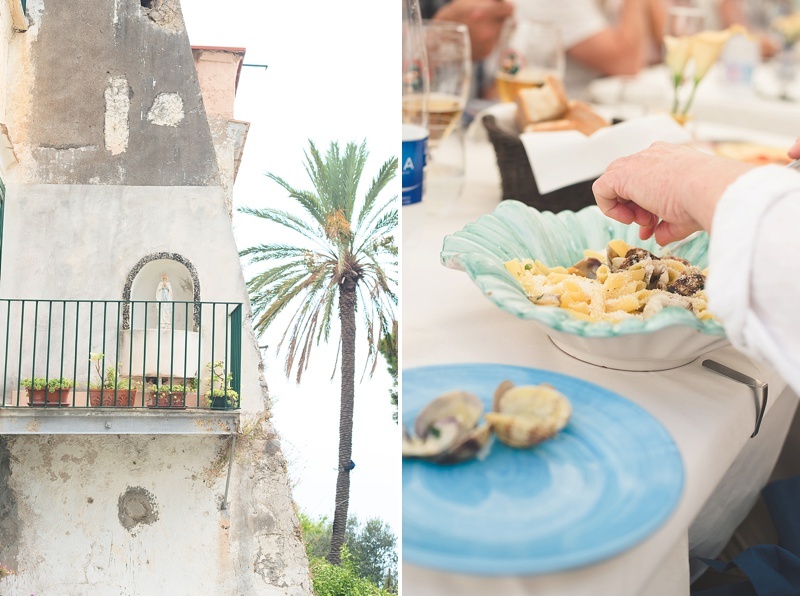 The cliffside views, the hidden grottos, the coastal cuisine, and so much more keep people coming back. 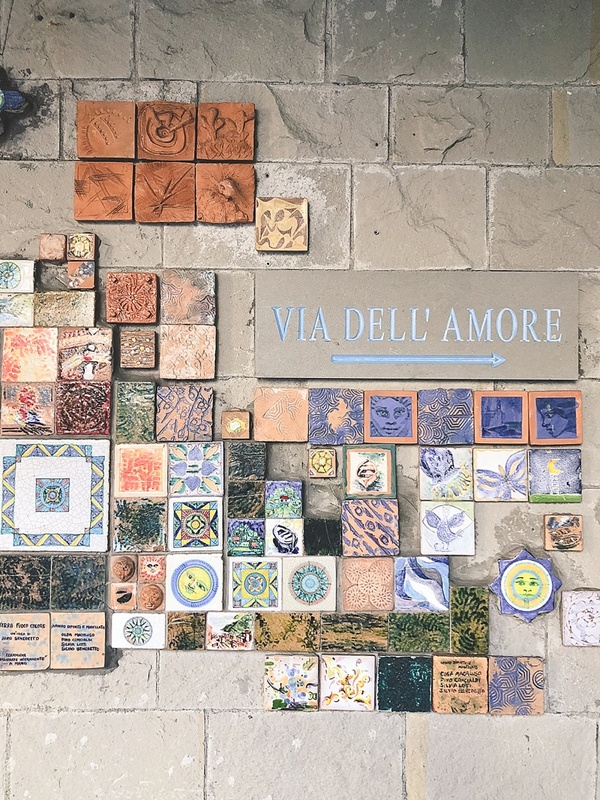 Similar to Cinque Terre, there is a charm here not found elsewhere, and it's best explained in person as you walk through the cobblestone paths of each town. From Sorrento city center, City Wonders Tours offers a Best of Amalfi Coast with Boat Tour that will win anyone's vacay heart because of ease of booking, being taken care of by an English-fluent local, and that little (big) detail of not having to drive along the coast. Wardrobe Tip: Bring a hat and wear sunscreen! The sun is uniquely harsh here as its light bounces off all of the pale-colored buildings. You can get sunburned and not realize it. It also gets quite hot, so dress in clothes that will help keep you cool. 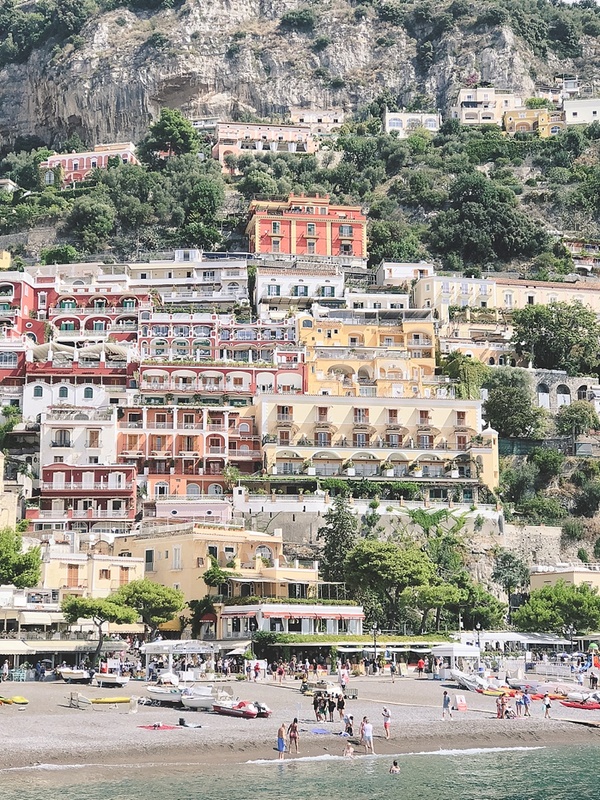 The first stop is Positano where guests can relax on the beach, explore the shops, and have a nice espresso break before hopping on the ferry to the town of Amalfi. The coastline is a moody one where clouds come and go all day long with sunlight casting breathtaking shadows on the cliffs, and the best view is definitely by water. As your tour guide will advise, board the boat as soon as you can to get an optimal seat up top. Though not as elegant of a resort town as Positano, Amalfi actually has more historical significance to appeal to history buffs. As a medieval town full of medieval buildings, Amalfi was considered the capital of the maritime republic. They built ship fleets for protection and trade in the Mediterranean and played a huge part in the Crusades in the Middle Ages. Another interesting fact, Andrew the Apostle's (also known as Jesus’ buddy) bones are at the Amalfi Cathedral, a large beautiful church with ornate details that you cannot miss as you walk through town. 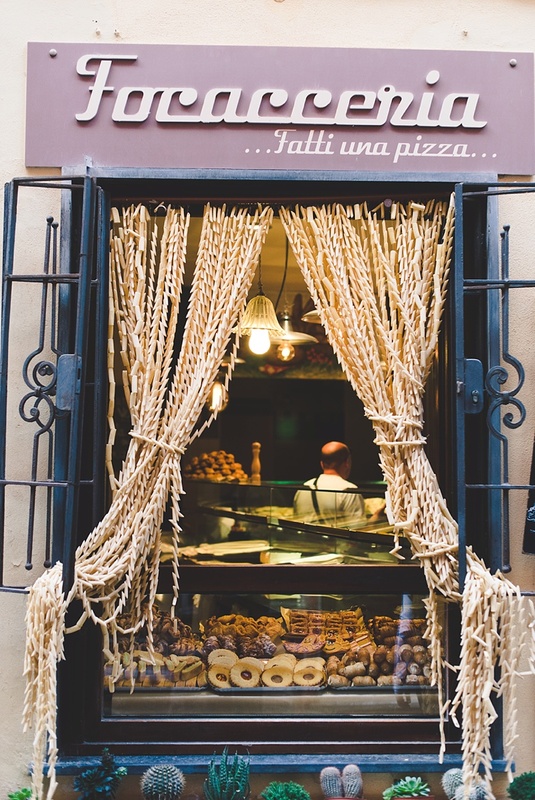 Food Tip: For cheese lovers, ask for directions from your tour guide on how to get to the restaurant La Piazzetta. 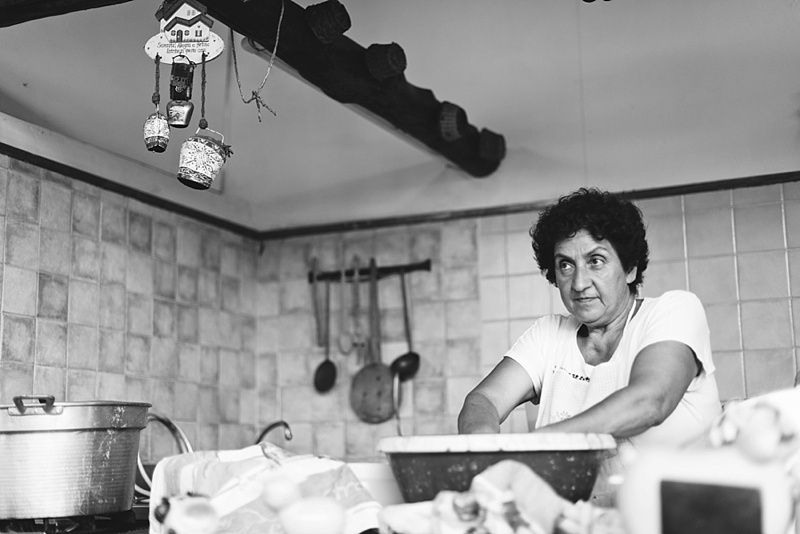 Not only is the service wonderful, you must order the smoked mozzarella cooked in lemon leaves or Provala di Tramonti in foglia di sfusato amalfitano because this is a special Southern Italy treat. Based off the recommendations from my Italian cousins, it did not disappoint. This particular tour by City Wonders then takes you back to Sorrento to visit a local agriturismo, La Sorgente Farm, to see how fresh mozzarella is made by long-time cheese artisan Maria and for some sips and bites of citrusy limoncello, fresh tomatoes, lemon-infused olive oil, and lemon marmalade jam made right on property. (For those with gluten allergies, they have gluten-free bread for you to partake along with your group.) Adorable farm animals also linger through the multi-level farm filled with lemon trees, olive trees, and other orchard fruits that makes this farm a relaxing rustic ending to a long day along the coast. Once your journey is at an end, returning your car is as simple as it was picking it up. Look for aeroporto signs that indicate where to return your car. You might see the word autonoleggio more than its English "rental car" equivalent. If at FCO, observe which parking tower your car company is at; they are marked with the letters A, B, and C and located on different levels. Once you find your car company's designated area, the attendant arrives to check in the car and to give your final receipt. Allow at least 3 hours before your flight departure time to take care of returning the car, checking in to your flight, and dropping off your luggage. There is about a 15 minutes walk from the rental car terminal to the main airport terminal. Whether your rented wheels take you through the rolling hills of Tuscany or along the coastline of Amalfi, hidden gems await for you and your partner to discover. Italia is made up of lifetime memories, and it won't be the last time you visit. Disclosure: Some transportation and activities were provided so we could better experience Italy. All love and opinions for what's been mentioned in this feature are our own. Some of the above product links are affiliate-linked and purchasing through these links helps support Tidewater and Tulle and its wonderful partners! You can find our full disclosure policy here.